- Excellent quality and Quantity. 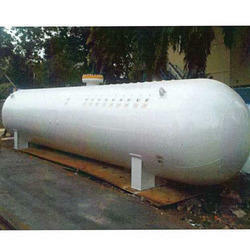 We are the leading manufacturer of LPG Gas Tanker. Complete Refilling, Planned Installation and Errection with CCOE Approval. Capacities: 7.5 metric ton, 12.6 metric ton, 18 metric ton, 21 metric ton. Tech-well Engineering Co. Pvt. Ltd.
We are leading manufacturer and Exporters of LPG Semitrailer, LPG Transport Tank, LPG Gas Storage and transport tanks, LPG terminal, LPG Pressure vessels, LPG and other gas storage and transport tanks. We supply both new and used L.P.G tanks as per our customer's requirement, in sizes ranging from 500 to 100, 000 liters water capacity. All our tanks undergo vigorous testing and come with KEBS Pressure Test Certification as per Kenyan Standards. Material of Construction: SA 516 Gr. 70/ SA 537 Cl. 1 etc. We are Supplier of LPG LNG Tankers. We are Leading Manufacture And Supplier in LPG Road Tanker.